Entdecken Sie, wie das selektive Lasersintern sich entwickelt, und was das für Sie bedeutet, in der neuen Informationsschrift von RP Platform. Bring the power of AM automation software to your team. With AMFG, preparing your CAD files for production has never been easier. Save your team time and effort by automating key part preparation tasks like STL file conversion, part analysis and repair. Optimise your part for production by verifying common issues like wall thickness, and maintain your very own part catalogue. Unleash the full potential of additive manufacturing. AMFG offers a powerful, end-to-end production management system to help you seamlessly coordinate your AM operations. Easily schedule and monitor your builds, check machine availability and use real-time part tracking to identify your parts post production. Experience full traceability with one platform. 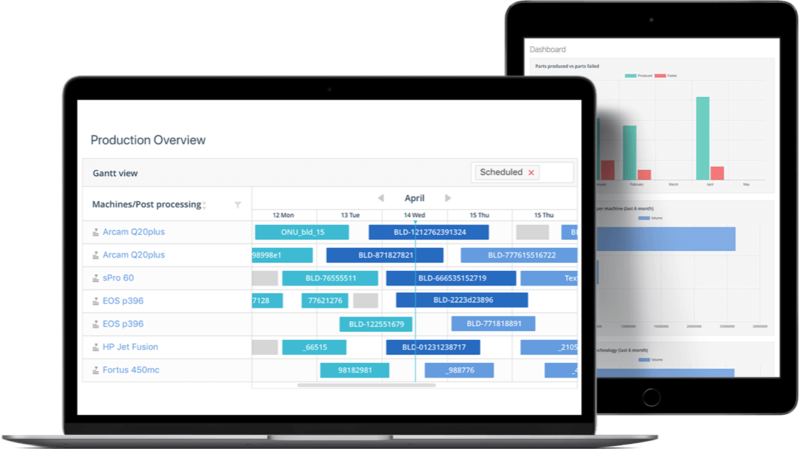 AMFG allows you to track and log every stage of your AM production process and review key production statistics using machine data analytics. 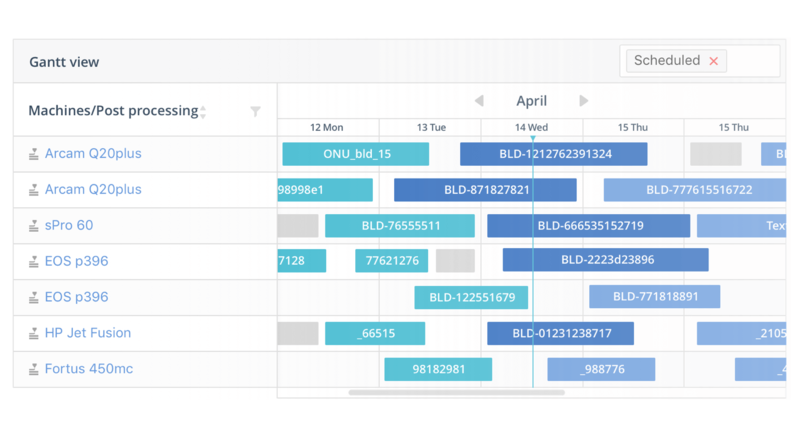 Keep your team on the same page with real-time file versioning and user communication tools. Collaboration for additive manufacturing made easy. 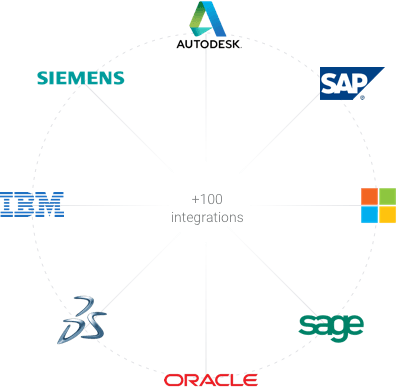 AMFG seamlessly integrates with over 100 ERP, PLM and CAD software applications, including SAP, Microsoft Dynamics and Sage. Our customisable software means that whatever your preferred systems, you can find the right solution for your needs. 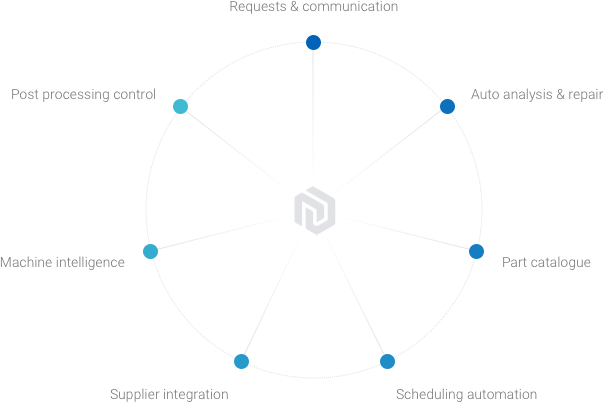 Your journey to streamlined workflows and AM efficiency starts here.